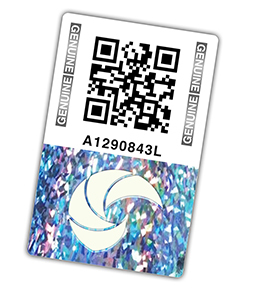 Cutting-edge technology and innovative systems combine to deliver a complete offering when it comes to producing the forms you need for your business or brand. 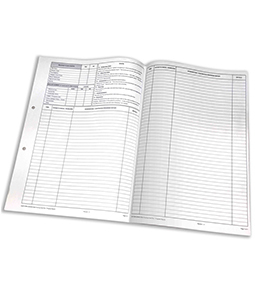 Uniprint produces a wide range of continuous stationery such as business forms, booklets and snap-sets for various corporate and business applications, including invoices, delivery notes and more.  Speak to our sales team to determine your unique business needs and let's work together to create the customised forms you need.   We do: Invoices; Continuous Stationery; Single and Multi-Part Forms & Books; Transactional Forms and Books. 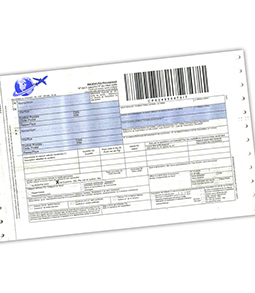 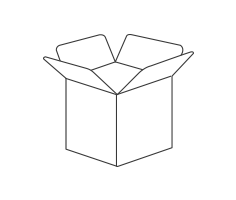 Our uniquely barcoded waybills and track&trace documents barcodes provide courier companies with an effective means of tracking parcels and goods, enabling them to ensure that the goods arrive at the desired destination. 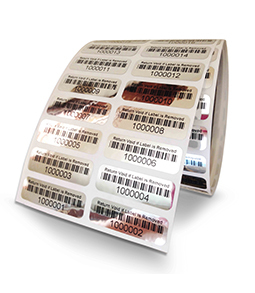 We also offer several other barcoded products including barcoded labels and competition barcodes. 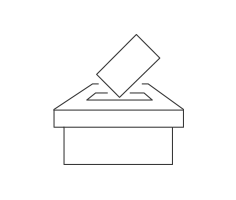   Functional Forms provide users with documents that serve several purposes, many of which support advanced transactions. 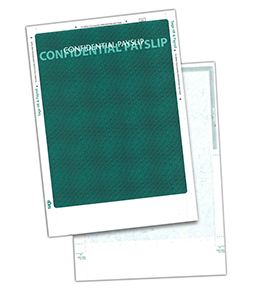 These documents often carry variable data, peel-off labels, tear-off slips, integrated cards, security codes, laminations and various other features that make them more than simple record documents. 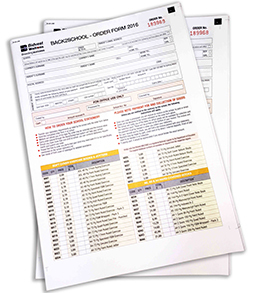 Uniprint prides itself on years of experience in designing bespoke forms for unique applications - often reducing the number of documents used and streamlining administration processes to achieve the desired result. 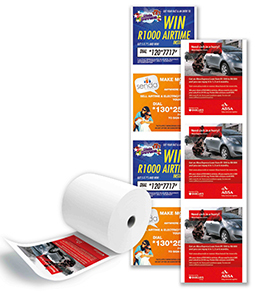 A vast majority of South African consumers across the African continent rely on pay-as-you-go recharge vouchers, many of which are printed by us with a double-sided area that allows for advertising and promotional messages to be included. 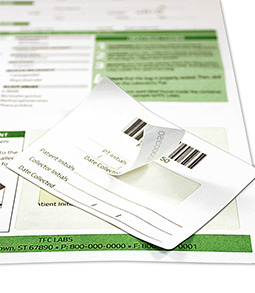 A tear-off component is kept as a receipt by the merchant. 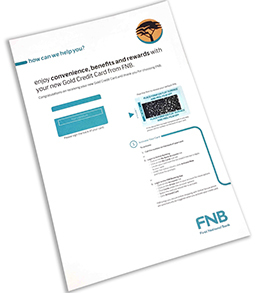 Leave the printing of your salary advices and payslips to us. 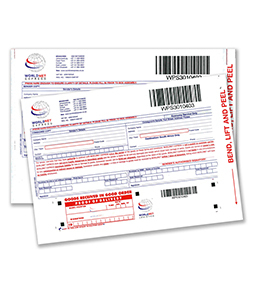 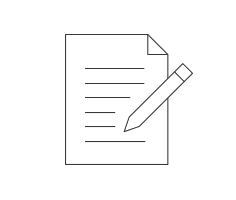 Generic and customised forms are printed to stock prior to being supplied to major payroll companies.  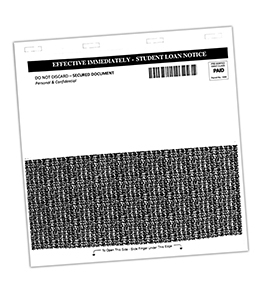 Complex print techniques provide the necessary confidentiality that is demanded for these documents.  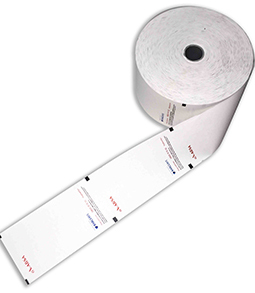 Our thermal paper offering includes financial and thermal till rolls for ATMs, credit card machines and cashier tills. 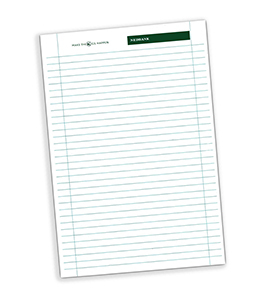 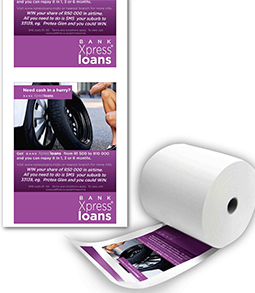 Terms and conditions and the terms of exchange can be printed on the reverse of each till slip roll, as well as branding and promotional content. 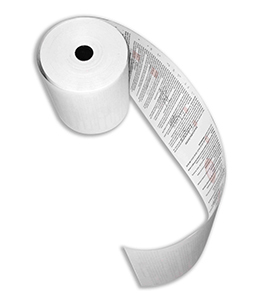 Variable data labels refer to the printing of unique information on promotional materials.  This can include printing unique names, numbers or alpha/numeric codes on promotional material or other applications that require personalised printing. 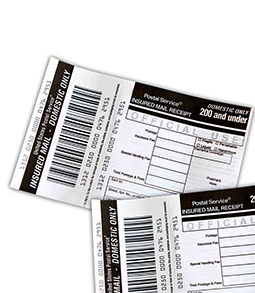 Uniprint's numbered security seals are individually numbered with unique security codes and are tightly sealed, ensuring traceability and safe arrival at their final destination. 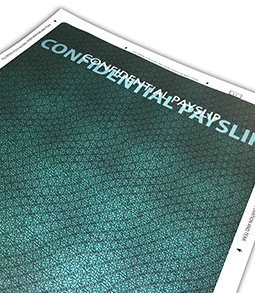 Our specialised documents for banks include a peel back to conceal the pin number, each digitally printed under strict security conditions that financial institutions can trust. 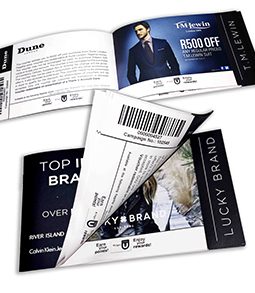 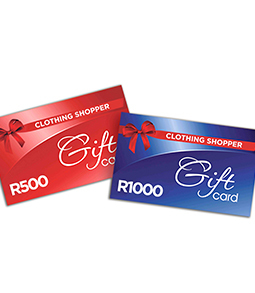 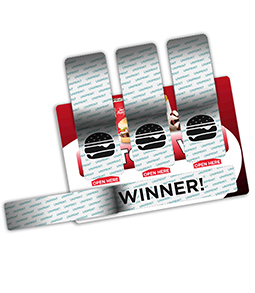 Uniprint is at the forefront of developing and printing immediate reward gaming vouchers which are rapidly growing in popularity across the African continent. 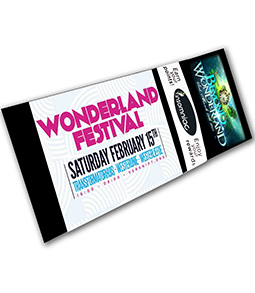 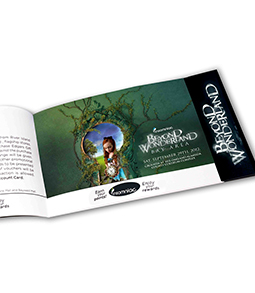 From scratch cards to lotto tickets, printed tickets and more we print a wide range of gaming tickets in large numbers. 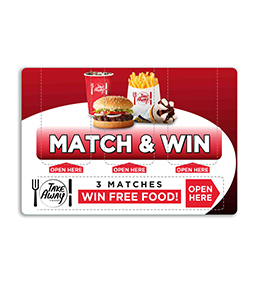 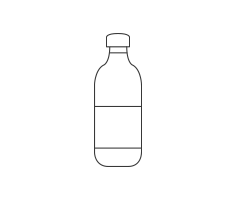 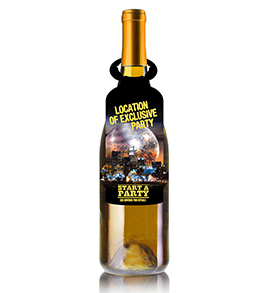 Our neck tag offering provides brands with additional brand communication space to drive awareness on new flavours, brand extensions, promotions, deals or competitions. 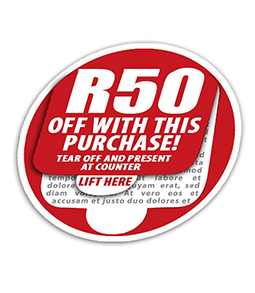 Uniprint is an experienced Security Printer - formally ratified by the Printing SA "PrintSecure" accreditation (https://printingsa.org/printsecure/). 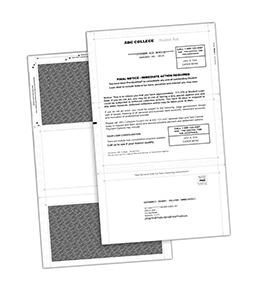 We produce security documents such as: certificates, diplomas, ballot papers, transportation and event tickets, scratch cards, gift and discount vouchers, examination papers, government documents, census papers, branded products and many more.  An audited set of policies and standard operating procedures define the criteria, guidelines, rules and standards for our production of any security documents.  Uniprint offers clients the confidence, fidelity and security of dealing with an approved, certificated printer who complies with a strict code of compliance.  Leave the storage and/or delivery of your goods to Uniprint, thanks to our superb outsourced warehousing and procurement service. 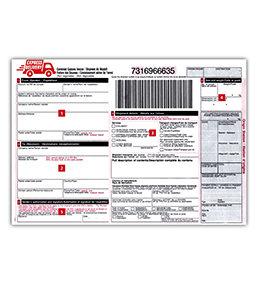 Our customers can enjoy complete peace of mind and eliminate the hassle of managing their own logistics.